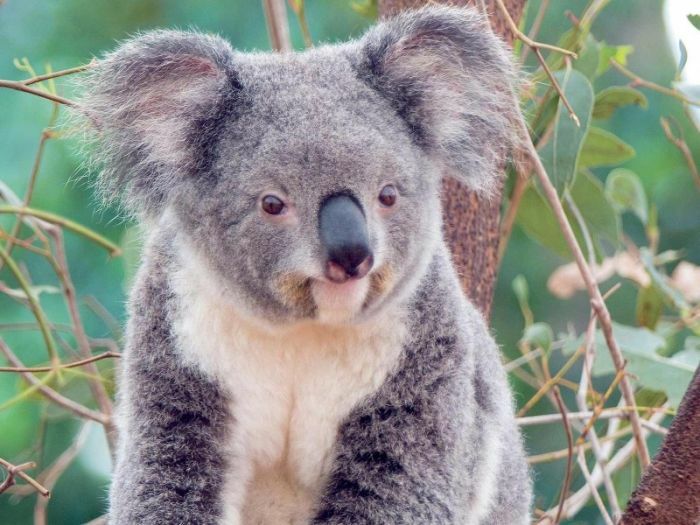 This is a dry koala. 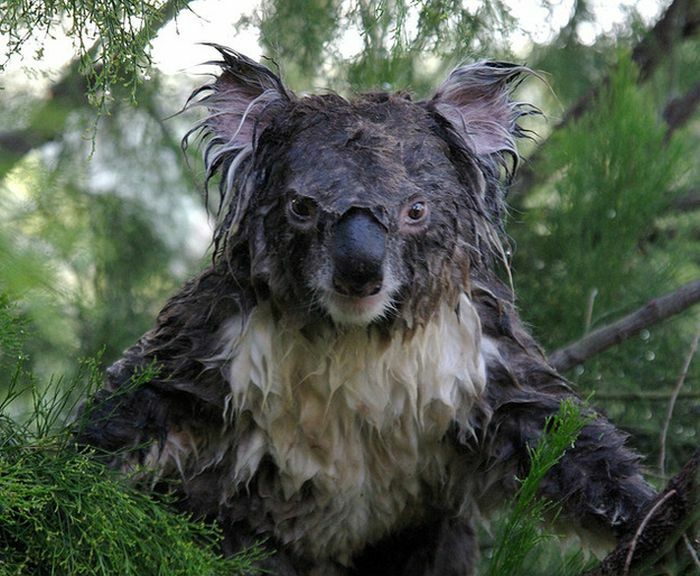 This is a wet one. something about organisms on their nails . is this true? anybody know? 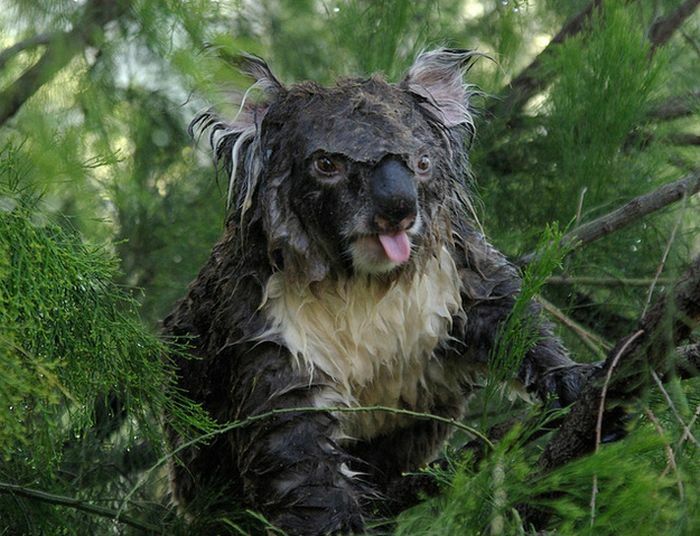 Long time ago someone saw a wet koala and he thought "So cute, i'm going to make a movie and call it gremlins!" Yep still looks Cute and a little pissed off to ,.,. Wonder if he smells like a wet cat? I wouldn't want to wonder across one of those looking like that! !